Looking for high-quality, generic marketing tools to help you get more prospects? 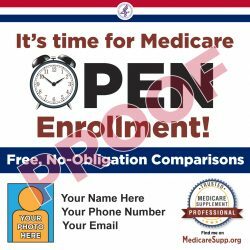 The American Association for Medicare Supplement Insurance makes available the following marketing and sales tools. These can be used by any agent or broker. Now Available: Personalized tools! A nominal charge covers the cost of having an artist personalize. Charges are significantly discounted for agents listed on the Association’s Find An Agent Online Directory. You can learn about adding your listing and read testimonials from list agents by clicking here. 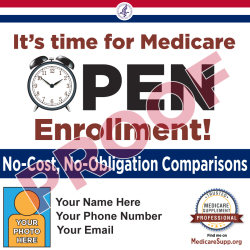 Use this banner ad to generate awareness for Medicare Open Enrollment 2018. We will personalize with Your Photo – Your Name – Your Phone Number – Your Email. Use with Social Media posts – add to your Email signature – post on your website. $139 for agents NOT LISTED. Option 2 (“No-Cost, No-Obligation”) Click here to see image. 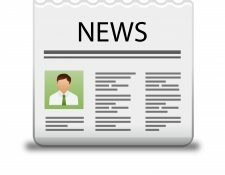 Three fill-in-the-blanks press releases that you can use. These are ideal for sending to your local (town) newspapers. Two are generic and one is focused on Open Enrollment. Local publicity is free and a powerful way to create name recognition (and sometimes even calls!). $149 for agents NOT LISTED. * ALREADY LISTED? E-MAIL YOUR REQUEST Email Jesse Slome now. MARKETING IS ESSENTIAL to your success and it’s something that I am passionate about. Prior to creating the various insurance Associations that I run, I spent 20 years as an award winning marketing and public relations professional. From a public relations standpoint, I was one of two people in charge of handling the PR for the Cabbage Patch Kids dolls (tells you how old I am). But, while that was fun, I conceived and implemented many award-winning public relations and marketing campaigns for a variety of companies. Many included insurance and banks – from Aetna and Citibank to Transamerica. In fact, for several years, I was Director of Marketing for Transamerica’s annuity division. 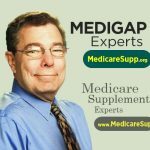 I am extremely proud of the growth of the American Association for Medicare Supplement and appreciate the many agents who have listed themselves on the Association’s FIND AN AGENT online directory. I personally always believe in exceeding expectations. Agents listed have shown their faith in me and us … and I am more than pleased to return the favor. That is why we have created and will continue to add new marketing tools for agents. Some will be free. Others, where we will incur a charge for artist time, will carry a nominal cost for agents who are listed online. IF YOU ARE NOT LISTED, well consider the savings an incentive to kick the tires and add your listing. See, that’s marketing! My thanks and my very best to all.